Environmental issues affects the health of more than 100 million people worldwide. Pollution is a contaminant spread into the natural environment, usually by humans. In India the increasing economic development and a rapidly growing population that has taken the country from 300 million people in 1947 to more than 1.25 billion people today is putting a strain on the environment, infrastructure, and the country’s natural resources. Industrial pollution, soil erosion, deforestation, rapid industrialization, urbanization, and land degradation are all worsening problems. Over exploitation of the country’s resources be it land or water and the industrialization process has resulted in the environmental degradation of resources. Environmental pollution is one of the most serious problems that the humans and other life forms on our planet is facing today. India’s urban population slated to increase from the current 330 million to about 600 million by 2030,The country has over 5,000 cities and towns, which today generate about 40 million tones of solid waste per year . Municipal solid waste management is more of an administrative and institutional mechanism failure problem rather than a technological one. Center for Science and Environment in 2005-06 reported that 1.6 billion tons of waste and overburden from coal, iron ore, limestone and bauxite have added to environment pollution. Environmentalists say that severe damage to the state’s verdant landscape in the form of deforestation, ground and surface water pollution and damage to agricultural land and beaches is a worrisome area of concern. 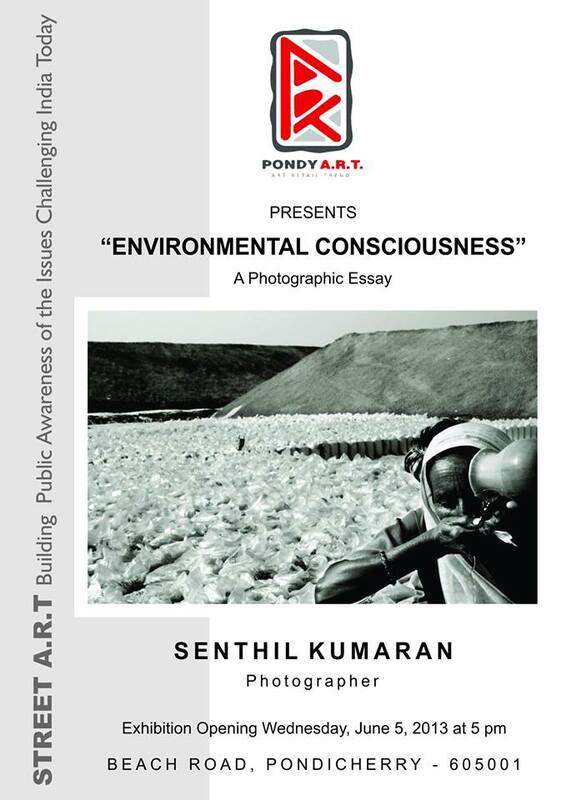 Senthil was born 1977 in South India. After studying computer science in Madurai University, Tamil Nadu, he worked as a software engineer in Indian defense. Meanwhile, he pursued photography, and in 2001 he quit his software field and entered into photography as a freelancer. He photographed whatever he came across on his daily life, mainly focused with people, culture and festivals of India. He has won several international awards that include UNESCO, Royal Geographic Society, City Magazine and Photo Life Magazine award, his photographs have appeared in leading newspapers and magazines in India.